How We Do Harm exposes the underbelly of healthcare today—the overtreatment of the rich, the under treatment of the poor, the financial conflicts of interest that determine the care that physicians' provide, insurance companies that don't demand the best (or even the least expensive) care, and pharmaceutical companies concerned with selling drugs, regardless of whether they improve health or do harm. Brawley's personal history – from a childhood in the gang-ridden streets of black Detroit, to the green hallways of Grady Memorial Hospital, the largest public hospital in the U.S., to the boardrooms of The American Cancer Society—results in a passionate view of medicine and the politics of illness in America - and a deep understanding of healthcare today. How We Do Harm is his well-reasoned manifesto for change. SHE WALKS THROUGH the emergency-room doors sometime in the early morning. In a plastic bag, she carries an object wrapped in a moist towel. DR. OTIS BRAWLEY is the chief medical and scientific officer and executive vice president of the American Cancer Society. 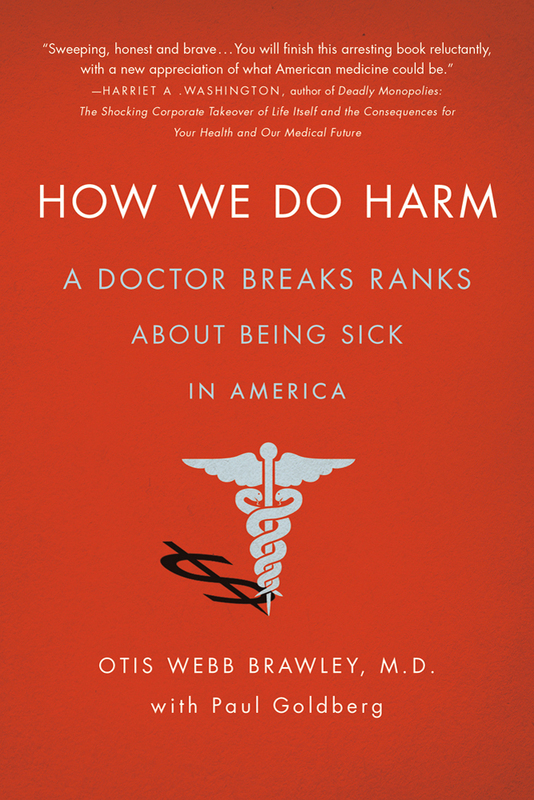 Dr. Brawley currently serves as professor of hematology, oncology, medicine and epidemiology at Emory University. He is also a CNN medical consultant. He is a graduate of the University of Chicago, Pritzker School of Medicine, and completed a residency in internal medicine at University Hospitals of Cleveland, Case-Western Reserve University, and a fellowship in medical oncology at the National Cancer Institute. PAUL GOLDBERG is an award-winning investigative reporter who covers oncology for The Cancer Letter, a weekly publication focused on drug development and the politics of cancer. His articles have appeared in The New York Times, The Wall Street Journal, The Washington Post, The Washington Monthly and he has been featured on 60 Minutes, 20/20, CNN and NPR. Goldberg is also the author of two books on the Soviet human rights movement.